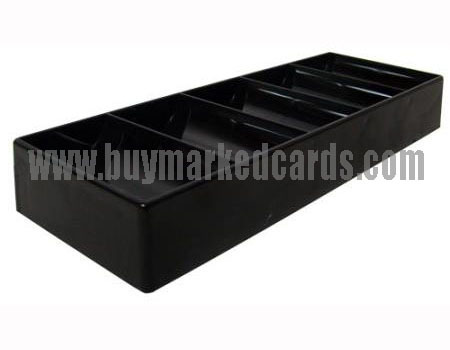 This durable black plastic Chip Tray holds 100 poker chips, 20 in each row. Content: Can you tell me the price for Samsung barcode scanner/ copag cards/ analyzer/ ear piece. Is there a package for everything? Admin_reply: Thanks for your inquiry of samsung poker analzyer system, we have sent your an email, please check and reply. Admin_reply: hanks for your inquiry of contact lenses and marked cards, we have sent your an email, please check and reply.